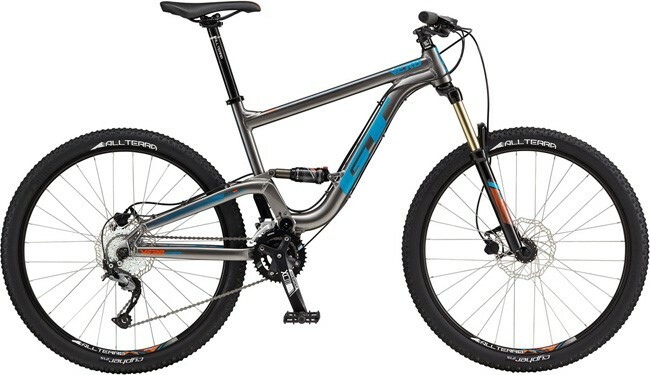 Buying a new mountain bike with £1000 in your pocket can leave you feeling spoilt for choice. To help get you started, the bikes in this list have been hand-picked for the quality, style and value for money they offer within your budget. Finding a good full suspension mountain bike for less than £1,000 isn’t easy – it’s very difficult to build a reliable bike with good quality components and keep it affordable. That said, in recent years there have been a few bikes which tick the right boxes and still offer great value for their price. Thanks to its well-designed alloy frame, 120mm suspension travel, wide-range 27speed Alivio gears and hydraulic disc brakes, the Polygon Siskiu D5 can easily hold its own against more expensive machinery. The fork and rear shock have a proper lockout feature too, so you won’t have to struggle in the climbs. Not only will you get £50 change from your budget, the GT Verb Comp has a trick up it’s sleeve you might recognise from their top-tier downhill bikes. 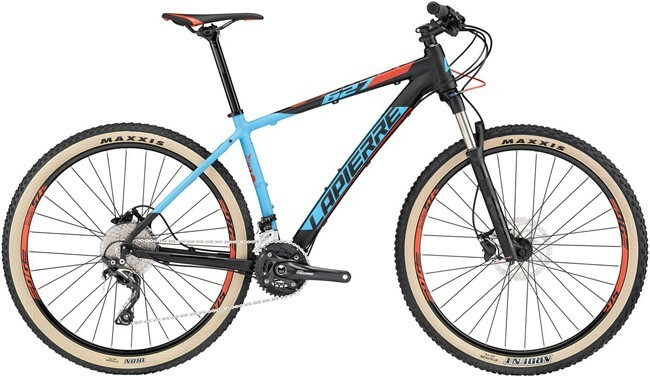 The Verb’s 6061-T6 frame uses the same Independent Drivetrain suspension technology as the brand’s world-class Fury and Sanction race bikes, which gives it impeccable bump-absorbing ability. As your riding improves, the GT Verb is the perfect base to accept upgrades for years to come. 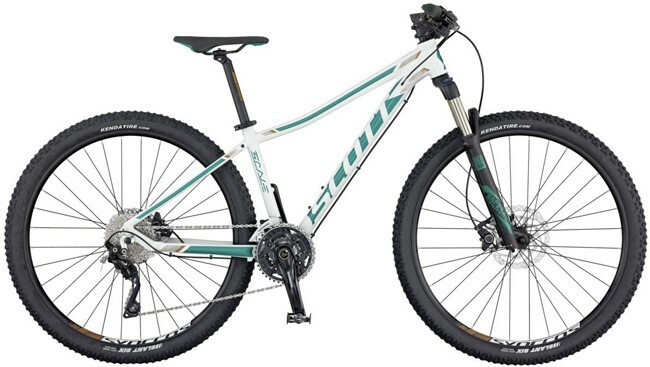 If you're aiming to keep your budget below £1,000, it is highly recommended that you start with a hardtail mountain bike instead of a full suspension bike. 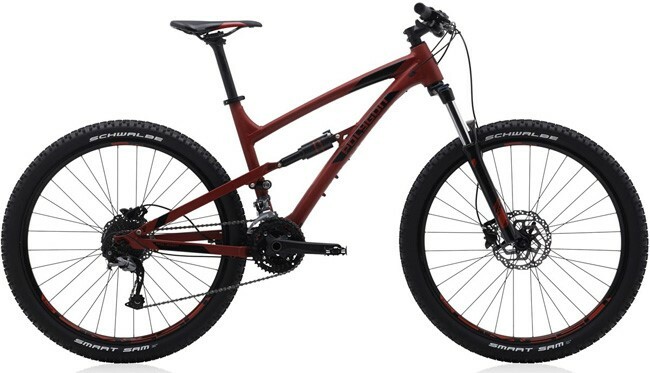 Hardtails are lighter and more nimble than full suspension bikes, and for the amount you spend you get back much better quality components which will dramatically improve the ride. More importantly, if you’re just getting started with your first mountain bike a hardtail is a much better way to learn the basic bike handling skills you’ll need to tackle difficult trails. At any price point, you’ll always find a Cube bike offering one of the best components specs available, whatever discipline you ride. 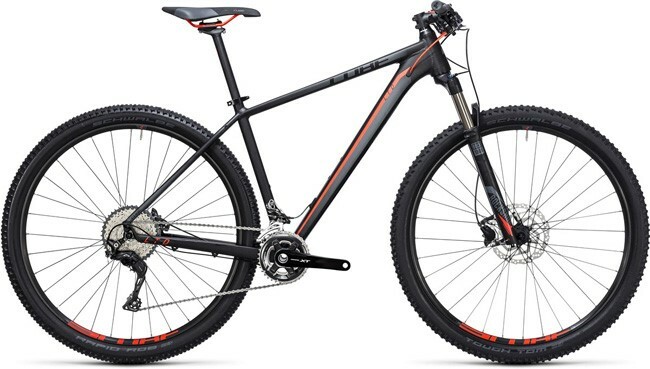 The Ltd Pro in both 27.5 and 29er wheel size comes with a 22 speed Shimano XT M8000 groupset, with a RockShox Rekon fork that has a handlebar mounted Pop Loc lockout switch. It’s no wonder the German powerhouse is so popular! Much like the German brand above, Merida are excellent at pitching their bikes with great component specs at their price point, and they’re not afraid to be a little bit different in doing so. The Big Nine 600 and Big Seven 600 feature 29er and 27.5″ wheels respectively, and are both fantastic looking bikes to boot. The Manitou Marvel fork is super-lightweight and has the backing of dozens of rave-reviews from people who’ve ridden it, while the SRAM NX 1×11 groupset performs well and lends a clean, minimalist style to the bike. The Cannondale Cujo is a bit of an outsider on this list. It’s the only bike here with a wide plus-tyre, which makes it arguably the most exciting bike as well. Fitted with a 3.0inch wide tyre, the Cujo still has the agile and playful handling hardtails are so loved for, but with the added benefit of an enormous amount of grip and a super smooth ride on rocks and roots. Though there may be bikes in this list which are faster from A to B, the Cujo 2 will put one of the biggest smiles on your face. 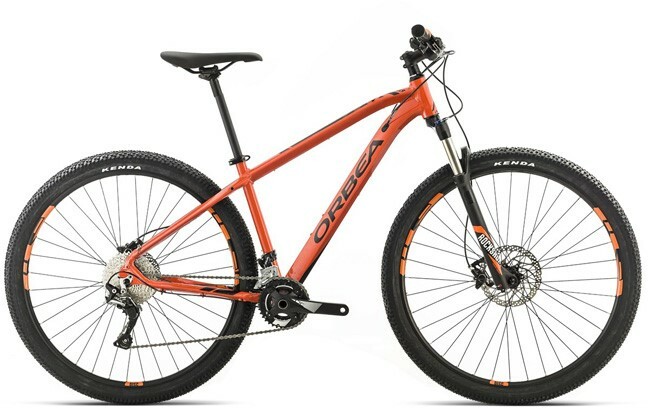 Orbea’s MX MAx 29er is not only a highly capable mountain bike in its own right, thanks to the RockShox 30 Air fork and 22 speed Shimano SLX gears. It has been built with versatility in mind too; after all, you might also want to use your mountain bike for commuting as well. 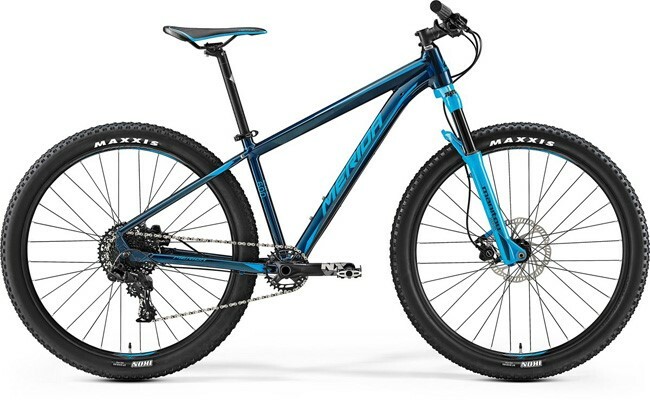 The MX Max is rack compatible, has sleek internal cable routing and comes with a lifetime frame warranty, so you can enjoy the smooth-rolling benefits of a 29er on the road, and on the trail. Sharing its excellent frame with its big brother the Cinder Cone, the Kona Blast hardtail is a budget-friendly alternative which still packs a punch. The Race Light frame is one of the best riding non-carbon hardtails we’ve tested, leaving plenty of wiggle-room for future upgrades… Just as well, because you won’t want be getting bored of this bike any time soon! Another entry from Orange bikes. This one is impossible to ignore, thanks to its fantastic component spec and the “old fashioned” 26inch wheel size. It’s no secret that a lot of mountain bikers aren’t so keen on the “new”, larger wheel sizes manufacturers have adopted, and there are many reasons why 26 inch wheels help make a better bike. 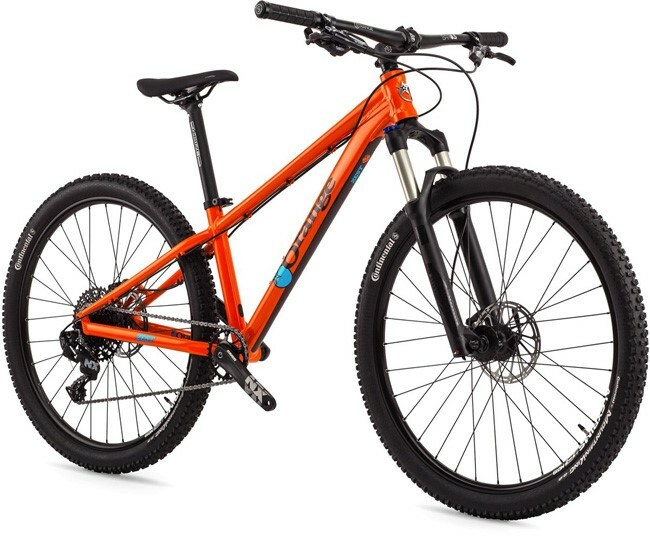 The Orange Zest proves why – the smaller wheels lend the bike incredible agility and a snappy & responsive ride, and yet despite being a bit different by current trends, Orange have outfitted the Zest with a RockShox 30 Gold fork, 11 speed SRAM NX gears and SRAM Level LT brakes. Other than the wheel size, all three bikes share the same components which are reasonable for the price tag, but the fantastic looks and Maxxis skinwall tyres really set these bikes apart. This women’s bike from Marin has taken a very different route with it’s component choices, helping it achieve the ultra-low price tag. Despite being only £750SRP*, the wildcat Trail WFG 5 still features a RockShox Recon Silver fork and Shimano hydraulic disc brakes. Marin have instead opted to reduce the number of gears on the bike to Shimano Deore 10 speed. The end result is actually a bike which is nice and lightweight, with the only compromise being larger steps between the gears. A very sensible approach from the California based brand we think! Scott are pioneers of aluminium in the extreme sports world, and are proven industry leaders when it comes to materials tech, so you know their bikes are built to the highest standards. 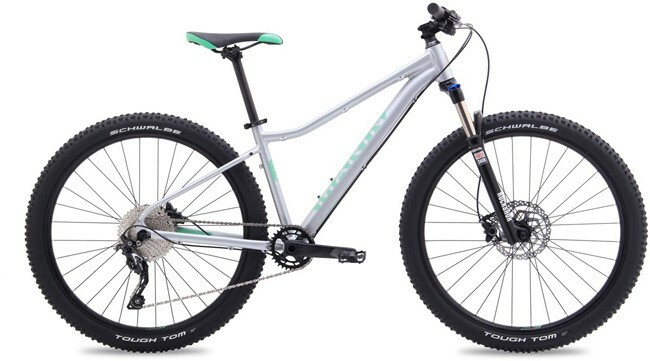 Along with £131 in change from your £1,000 budget, the Contessa Scale 720 and 920 offer 27.5 and 29er wheels respectively, a Rockshox 30 Silver fork with Pop Loc remote switching, and 30 speed mix of shimano Deore & XT gear components.